Easy Credits for EU Box allows to use leatest updates from EU BOx team on your Box. WE WANT TO INFORM THAT PRODUCER CHANGES PRICE FOR EU ACCESS PREMIUM - FROM 16.12.2009 ACTIVATION PREMIUM ACCESS TAKES 550 CREDITS FROM ACCOUNT INSTEAD 450. 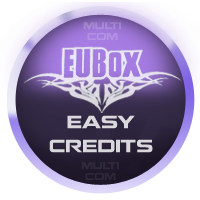 EU Box it's required as well as activated PREMIUM zone to use credit system - you can use credits purchased in this order to activation fo PREMIUM zone also.